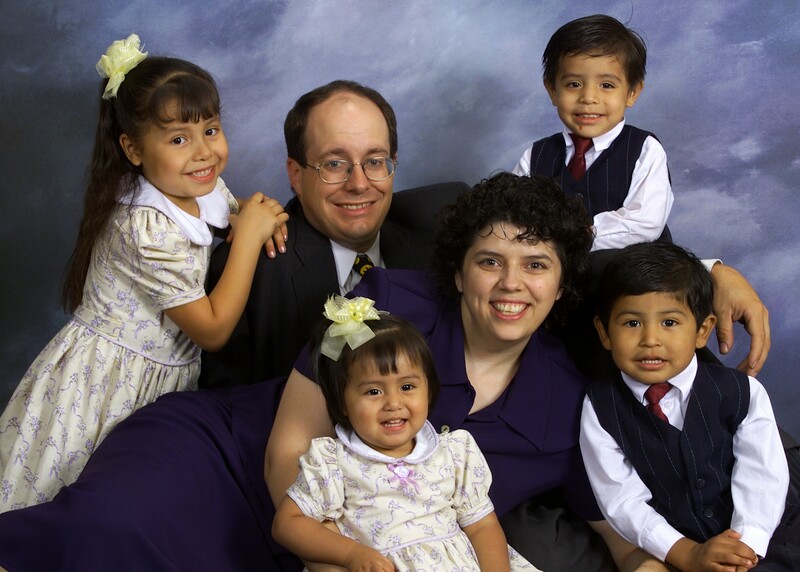 I have had many requests for the simplified LDS primary songs that were on my layton.com website. Unfortunately, that site is down, and I have not yet been able to get it back up and working again. Until then, I’ll post them here. There is a file for 15 off-staff primary songs, and another for 68 on-the-staff songs. I added some coloring pages so they can be printed front to back without any page turns. Some time ago I also made up a couple of covers. One mimics the actual primary songbook cover, but uses more ink. The other is more ink friendly. Thank you so much for you patience with me, and enjoy! Wow, I am a slacker! All this teaching at school and working through some issues with my children has taken a huge toll on my creativity and blog time. I took these pictures back in October, and decided it was high time to get them uploaded. My son, The Rock, was working on identifying key names at the time. Now, this child’s favorite toys are cowboy and indian plastic figures. 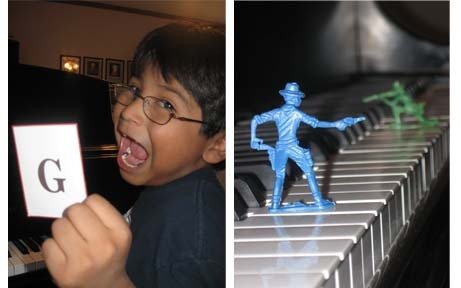 He will play for hours with those little plastic men, so I devised a way cool (in his mind) game for piano. First, we started off with our men. The Rock decided to be the green army man, and placed his guy at the top of the top of the keyboard. I was assigned the blue cowboy, and my guy started out at the bottom of the keyboard. Then, The Rock drew a card, and moved his man to the appropirate key. I did the same, and we kept going along like that. Our goal was to get our little man to the opposite end of the keyboard first. You can make cards with the letter names easily enough, or you can use my Musical Alphabet Cards. You will want to pring up several sets of the cards for this game – I’d suggest at least 5. This game can be modified to include sharps and flats, tones of a particular scale, or whatever you can come up with. Have fun. My son and I sure did. This is an activity that I have done quite a few times with general music classes. It would also be fun for a group piano lesson. Students name notes to decode the Orange Julius Recipe. After they have it figured out, we simply dump the ingredients into a blender, mix ’em up, and enjoy. I sometimes review various tempi when turning the blender from lower to higher speeds. Students love this activity, and I have to admit, I do, too! So, you’ve met The Rock, my darling bespeceled boy on the right. Next to him is his equally darling brother, who I will call Dash. Why Dash, you ask? Well, this child never sits still. Ever. Bless his poor school teacher’s heart. Dash is always on the move – running, jumping, flipping, bouncing,… well, you get the idea. He is something else in his gymnastics class – he is just amazing to watch. Dash loves music. I keep his lessons short but frequent. One of the luxuries of teaching your own child, I suppose. I assign him 2 pieces at a time. When he has these down, I teach him another two. He is bright, and catches on quick. As a reward for keeping focused, Dash got to play a game with his brother. The object of the game is to get 3 markers of your color in a row. I got this game from The Big Book of Music Games, but you could easily adapt it with a keyboard chart and an alphabet spinner of some sort. 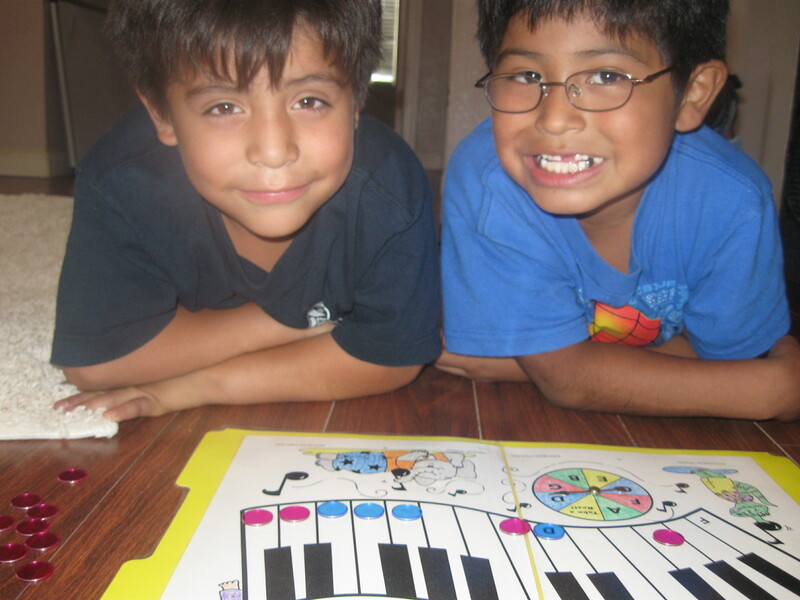 The boys took turns spinning the spinner, and putting a marker on the keyboard note. Luckily, the game ended in a tie, so both Dash and The Rock walked away happy. This is my son, whom I will refer to as The Rock. He is strong and solid in body and mind. He is also a wonderful cuddle-bug, but at 7 years old, I didn’t think he would appreciate that nickname as much. This week, The Rock is working on the musical alphabet. 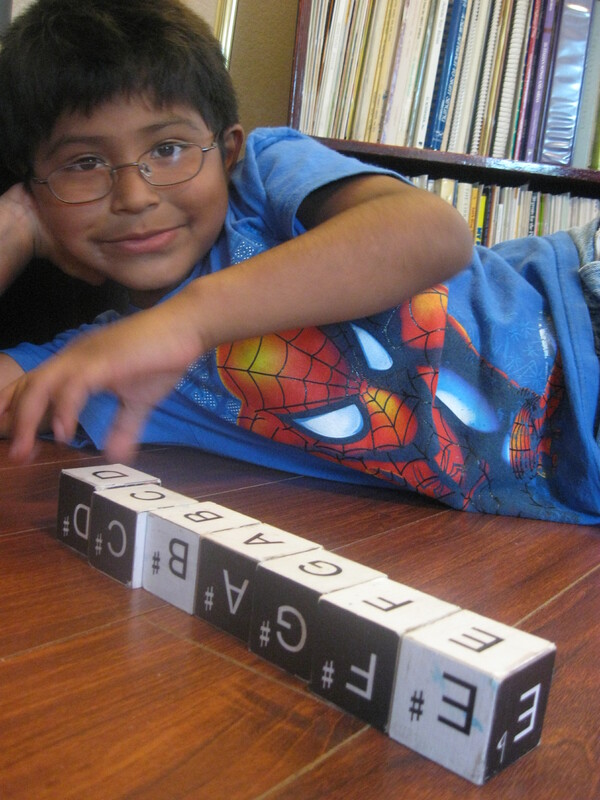 We played a little game with the wooden alphabet blocks that I made. You can print some out of paper here. The Rock put the blocks in order as fast as he could. Then, to make things a bit harder, he had to start on letters other than A. He loved it, and it was a great way to give him a little bit of wiggle time that little boys so often need. Have you seen all of Susan’s wonderful pre-reading songs? I have used these with so many students, and they have all been well-loved. Following in her example, I have done up some LDS children’s Primary songs into a pre-reading format. I have versions with finger numbers and letter names. So far I only done 8 songs, but hopefully that number will continue to grow. I have new respect for Susan. They are sure time consuming, especially when you add all of the wonderful graphics and color that she does.